Licensed practical nurses, or LPN nursing jobs are in high demand in every sector of the medical profession. In hospitals, nursing homes, blood labs, doctors' offices, private homes, and even resorts and cruise ships, nurse practitioners play a vital role in providing basic health care, testing, and administrative aid in medical arenas. 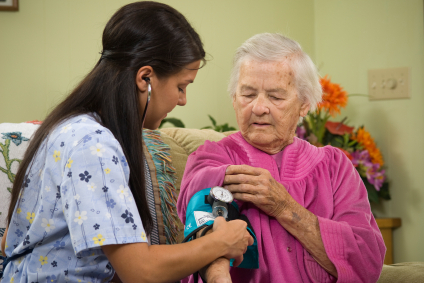 The United States Bureau of Labor Statistics predicts continued growth in the nursing field, due to population demographics and the increasing need for geriatric nursing homes and home care. Between 2008 and 2018, employment of LPNs is expected to grow 21% - significantly more than most industries. This change is particularly significant in home health care and nursing care, while there will probably still be healthy competition for hospital nursing jobs. Although global economic challenges have forced many nurses who were previously working in temporary or short-term positions to take full-time jobs, the need for LPNs continues to grow. Health clinics, hospitals, and other centers will continue to offer jobs for all types of nurses in the foreseeable future. According to the Bureau of Labor Statistics, LPNs held roughly 753,600 jobs in 2008. That number continues to grow, with LPNs distributed in hospitals (25%), nursing homes (also 28%), doctors' offices (12%), home health care services, outpatient care centers, government agencies, and employment services. Approximately 18% of LPNs worked part-time in 2008. A licensed practical nurse can expect to earn an annual salary between $33,360 and $46,710. The average compensation for all LPNs is $39,030, while the highest paid nurse practitioners, working in employment services, receive $53,580 annually. Travel nurses earn substantially more than LPNs in regular jobs, to compensate for the challenges of uprooting to a new location and leaving behind friends and family. Most travel nursing assignments will include housing, travel expenses, and moving costs, as well as overtime compensation – all of which can potentially push their salaries into the six-figure range. Due to the aging baby boomer population and new technologies that allow for more medical procedures and testing to be performed outside of the hospital setting, LPNs are more in demand now than ever before. With a growing need for health care in hospitals, nursing homes, clinics, and private homes, the outlook for opportunity lpn nursing jobs is very good. Return to the home page for more information on LPN job description.